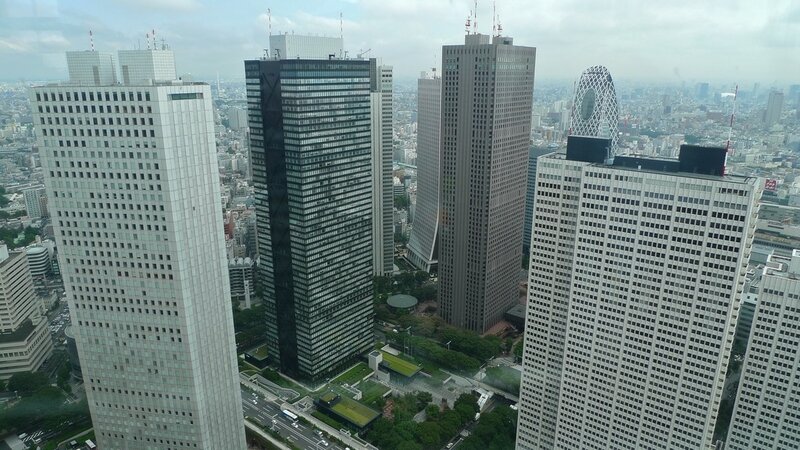 If you go during the daytime the first place you should visit is the monolithic Tokyo Metropolitan Government Building (東京都庁舎) which has twin panoramic observation decks on the 45th floor of each tower (open 9:30 AM to 11:00 PM). 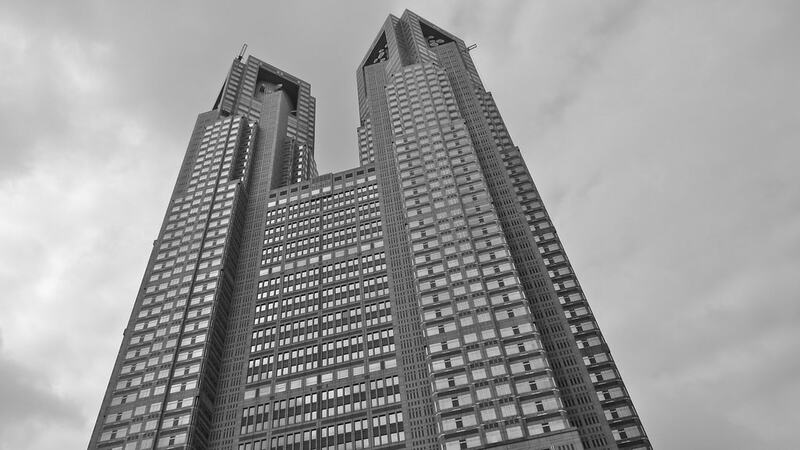 Love or hate the architecture you certainly can’t ignore it such is its imposition on the skyline. 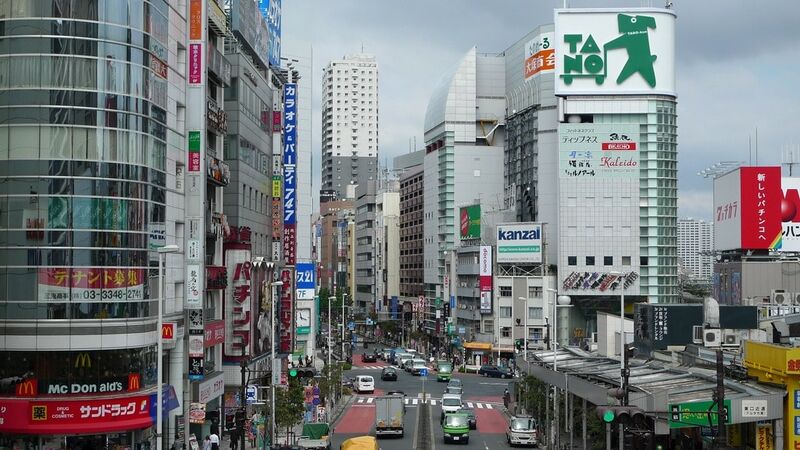 On a clear day you can apparently see all the way to Mt Fuji but what is most striking is the staggering size of Tokyo – in every direction there is non-stop urban sprawl like the motherboard of some gigantic computer. Next time I’d like to visit after dark for another perspective. 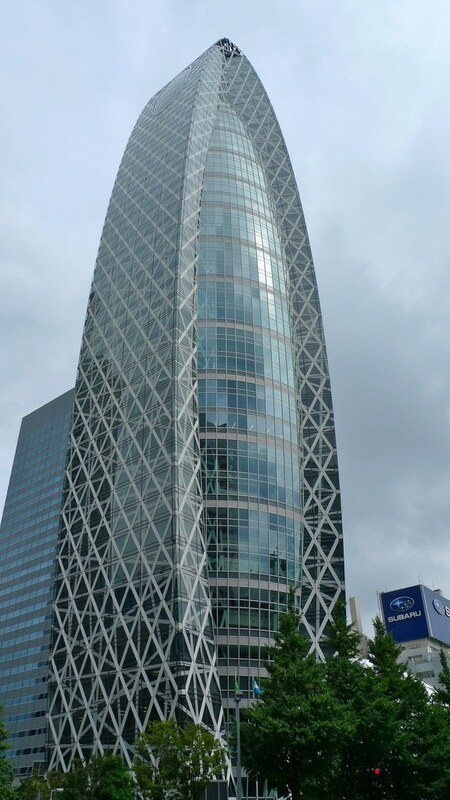 One of the more striking and creative buildings in the skyscraper district (west of the station) is the ultra-modern Mode Gakuen Cocoon Tower (モード学園コクーンタワー) which is home to a number of educational institutions. The shape apparently symbolizes a building that nurtures the students inside. 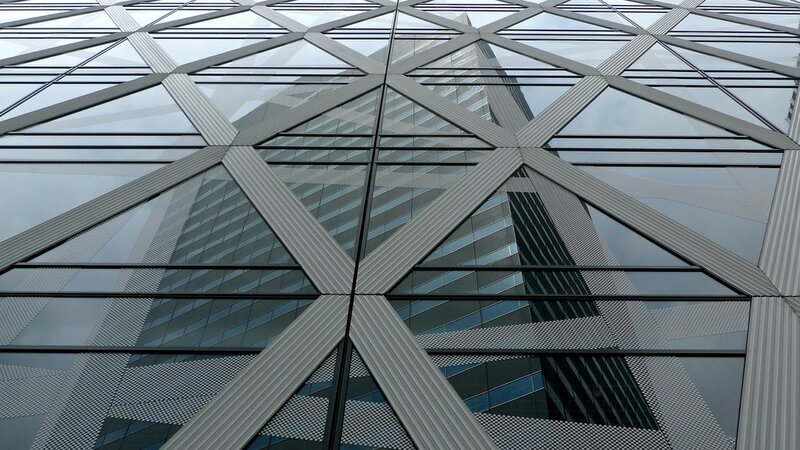 Above shows a reflection of another building in the criss-crossed cocoon shell. A view from an overpass nearby the Bic Camera store – I like the cute logo in the top-right corner. 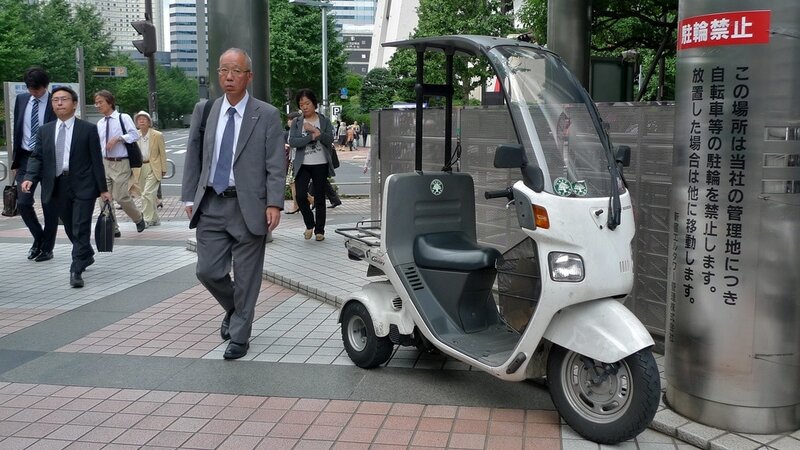 In Japan you’ll find many scooters like the one here being used for deliveries etc. Unlike conventional scooters these ones have a roof of sorts and two wheels on the back – seems like quite a smart design for city transportation. 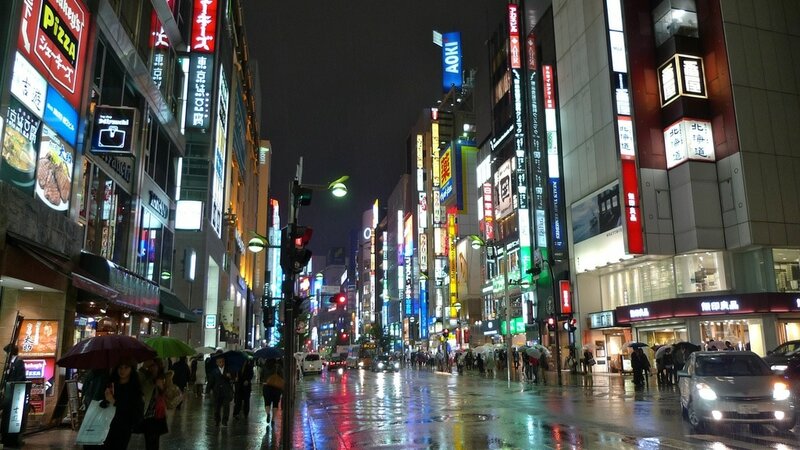 The first evening I visited it was unfortunately raining but in the end this turned in my favour since it produced some wonderful reflections and Japanese umbrellas happen to be rather photogenic. 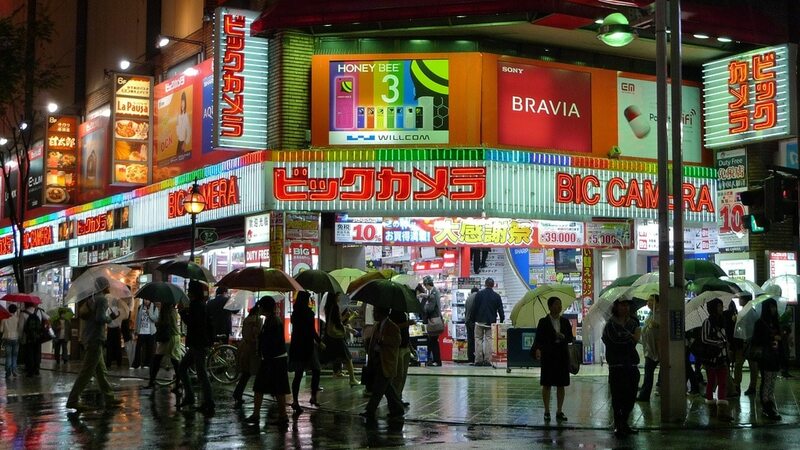 As you might have noticed Japan is in love with its electronic gadgets and one of the largest purveyor of them is Bic Camera. I had a look inside but left quickly to avoid the temptation! 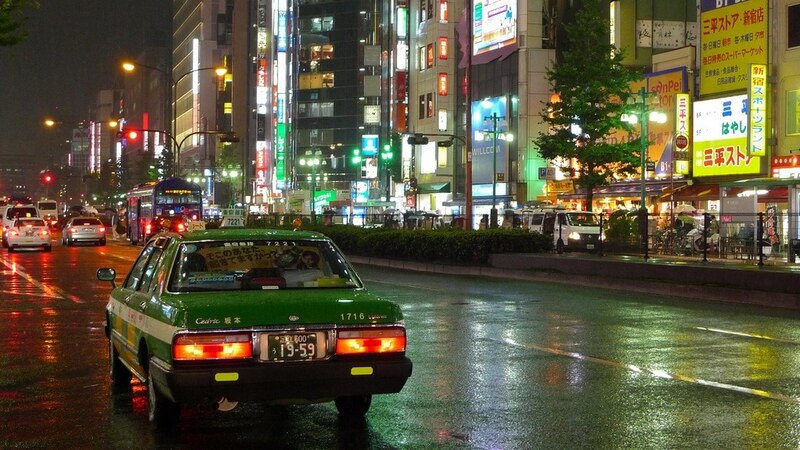 I never took a taxi in Japan since they’re notoriously expensive but if you’re travelling you most likely wont need to since the public transportation network is excellent (more on this in another post later). 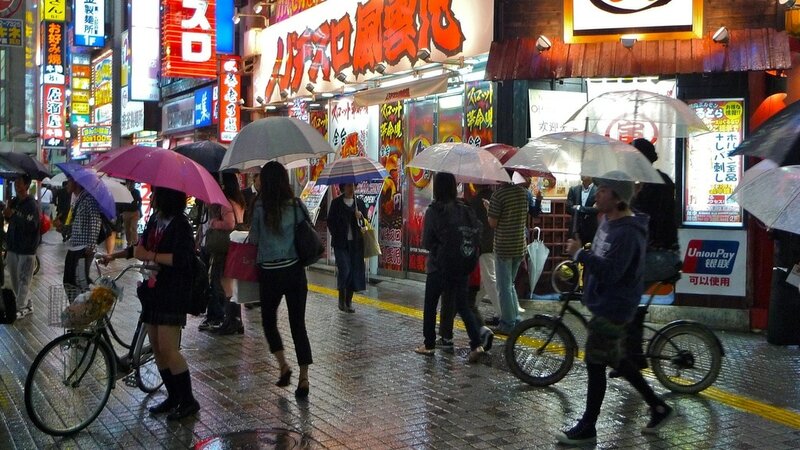 A pink umbrella for a change! Notice the ‘UnionPay‘ logo on the right for attracting Chinese tourists (their local equivalent of Visa). Another umbrella cluster – I love the diffused reflection of the rain on the road. 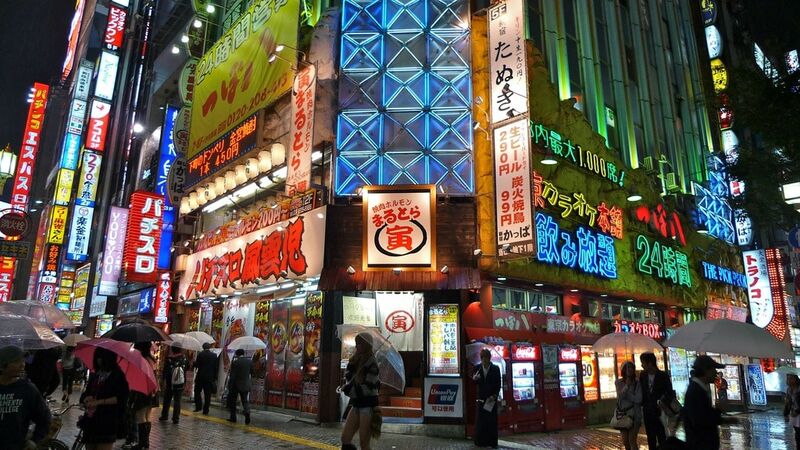 Shinjuku is a great place for soaking up the dense neon signage – perhaps the best in the world. 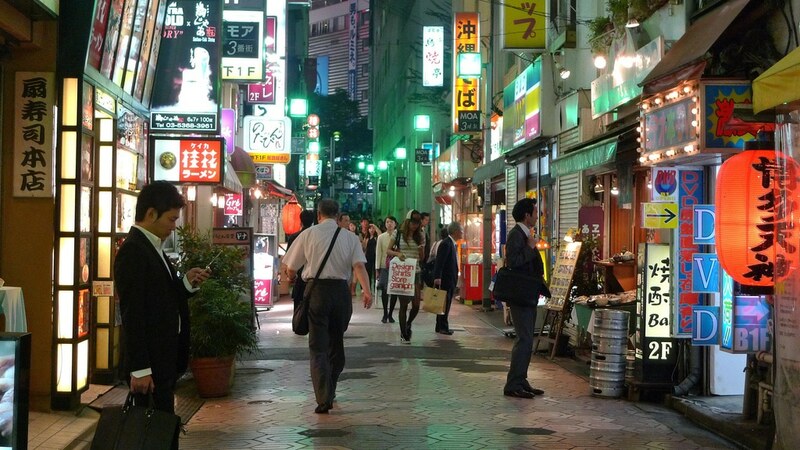 With so many shops and restaurants being above ground level it can sometimes make finding your way a bit confusing but often you end up finding hidden gems you never knew were there. 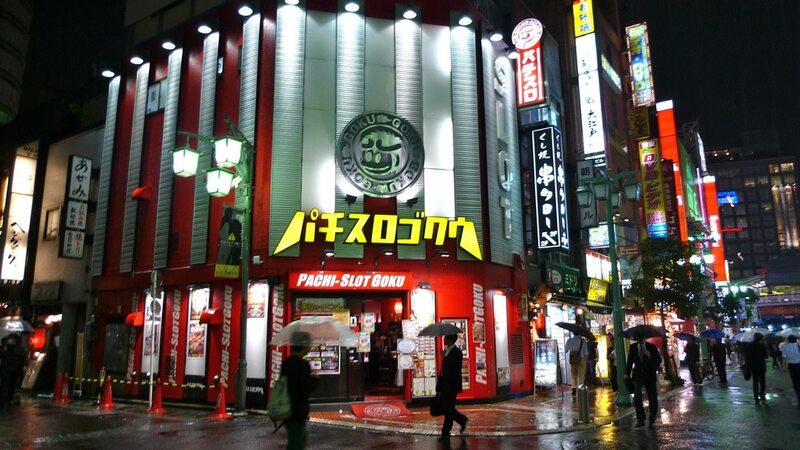 The establishment above is a “pachinko parlor” (パチンコ) which contain gaming machines – since gambling is illegal the owners get around the regulations by only providing token prizes which can be exchanged for cash at a separate business. 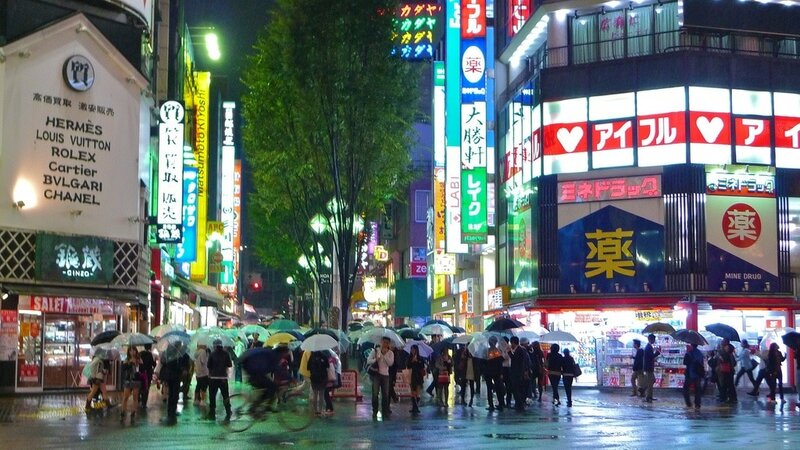 In Japan I was curious to notice that the number of small locally run shops and restaurants still outweighed the number of chain stores even in heavily populated areas which creates a much more vibrant and varied atmosphere. 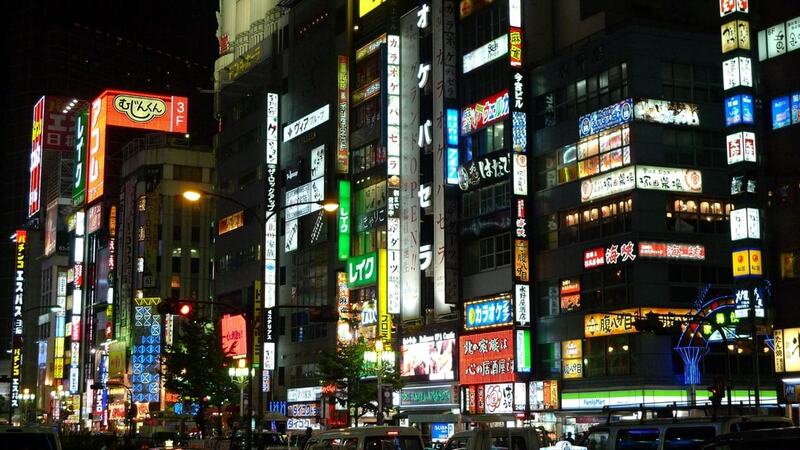 Shinjuku is definitely a must-see if you’re visiting Tokyo for the first time. 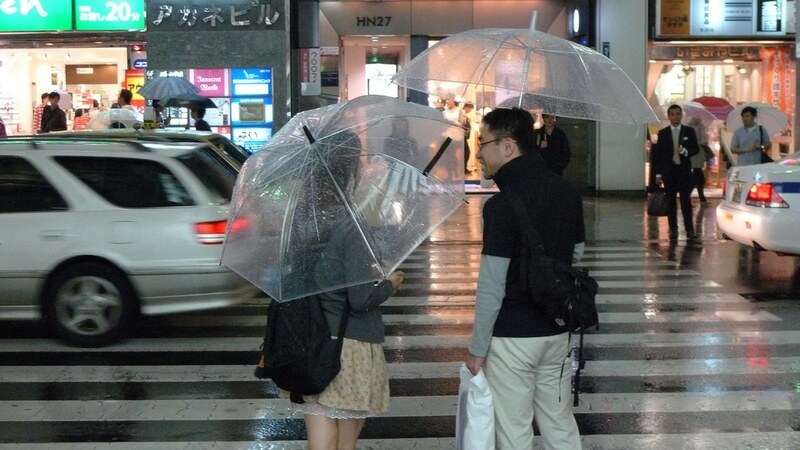 Hi, may I know where can i get the transparent umbrella in Tokyo? 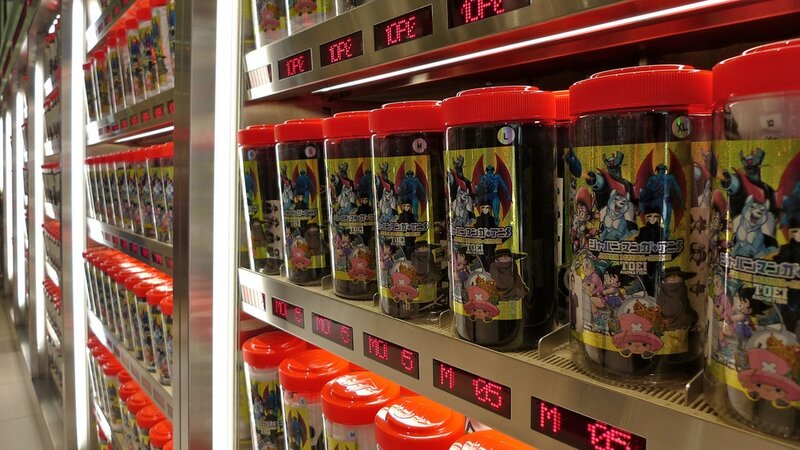 You can easily find them in any convenience store all over Japan. 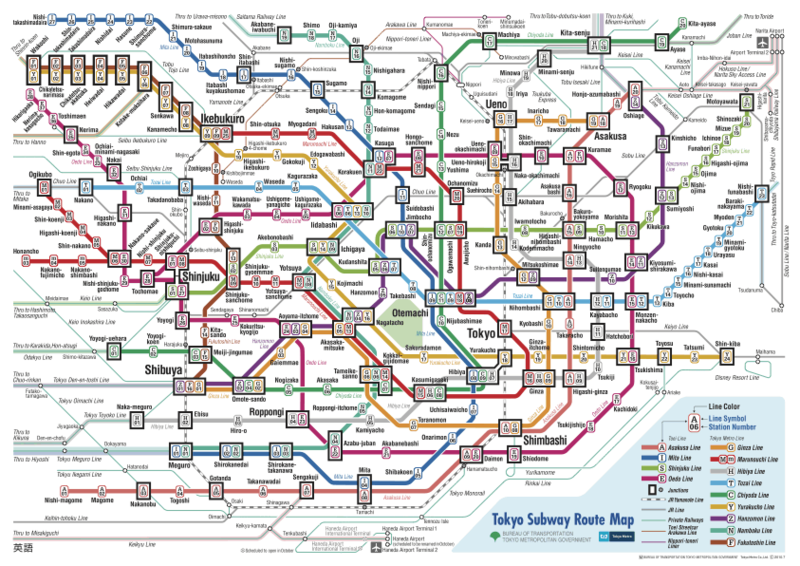 Hey Per, there are two travel cards in tokyo; Suica and Pasmo – for all intents and purposes they are the same and can be used interchangeably so it doesn’t matter which one you buy. The easiest way to charge the cards is using cash but I think some of the machines accept credit cards too.